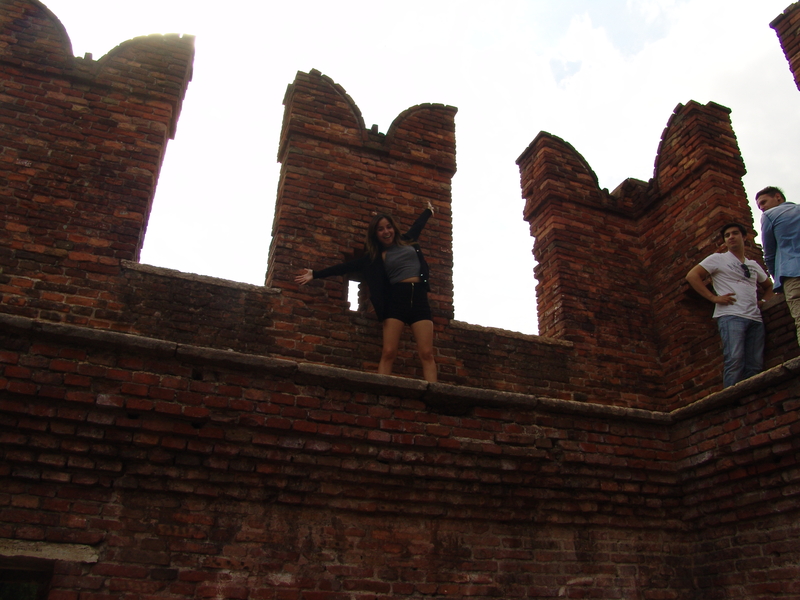 Lets Fall In Love In Verona. We’ve all dreamed of a love like it. 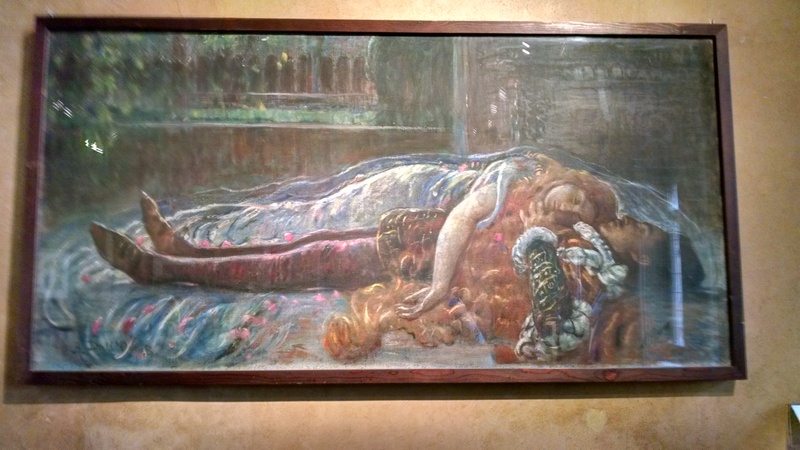 We’re all suckers for Romeo and Juliet. Even if you don’t say it out loud. So where’s the perfect place to fall in love? 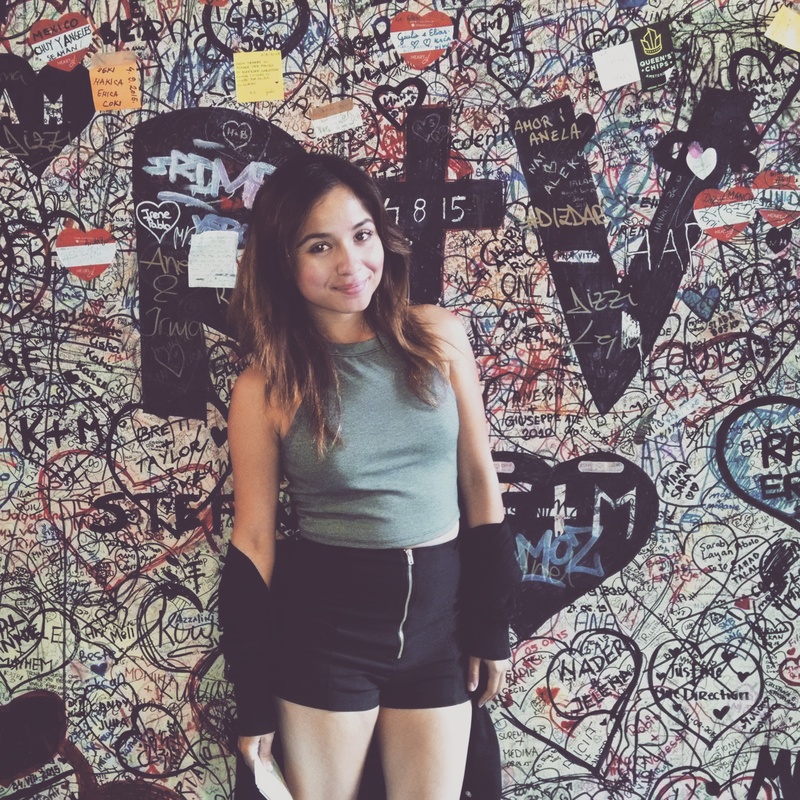 If you’ve read my previous article 13 Signs You’re An Awkward Female you know I am pretty awkward when it comes to public displays of affection. And one of the first things you notice when traveling to Europe is the PDA. It’s everywhere! In train stations, in tiny streets, in cafes… I mean everywhere! I saw it so much I even gave it a phrase, “Let’s be European” or ” Being European”, nothing clever I know but now I can say that being “European” in my hometown of Los Angeles is definitely not an option. But guess what ToTo? We’re not in Kansas anymore. 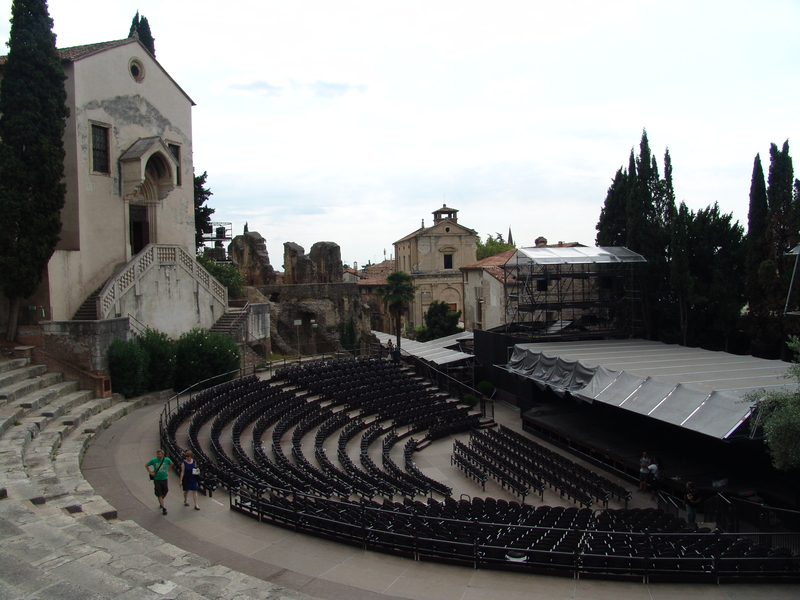 We’re in Verona. And the spirits of Romeo and Juliet lurk through the winds. So there’s only one thing to do. 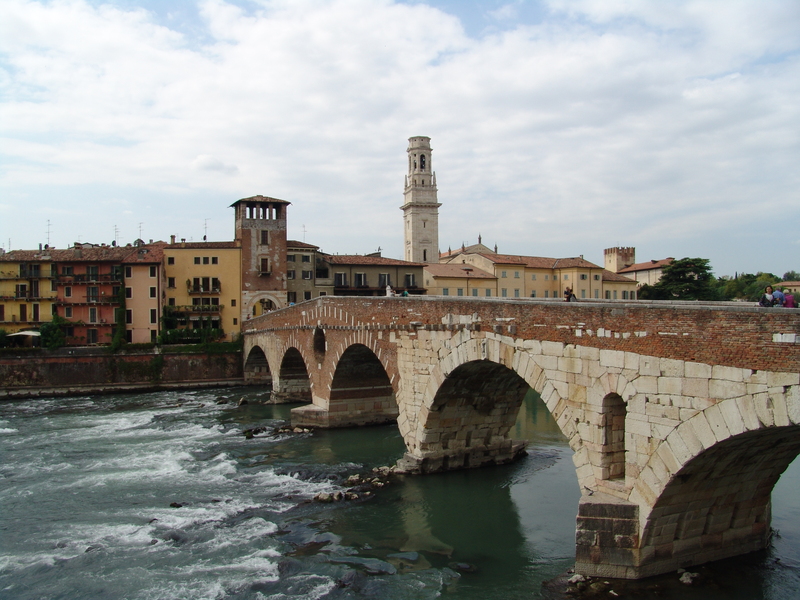 Be “European” and fall in love in Verona. By this I mean, whether your traveling by yourself, with your partner or with family. There is something in the air that will make you fall in love. Whether it be with the buildings, your spouse or your life. 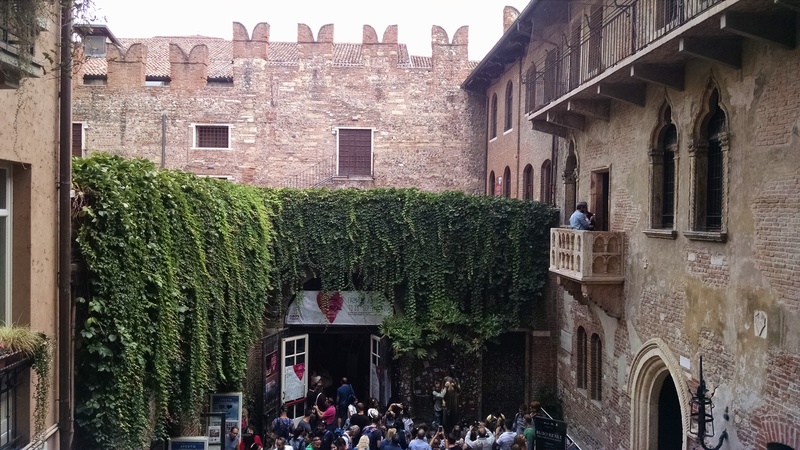 Love is in Verona. 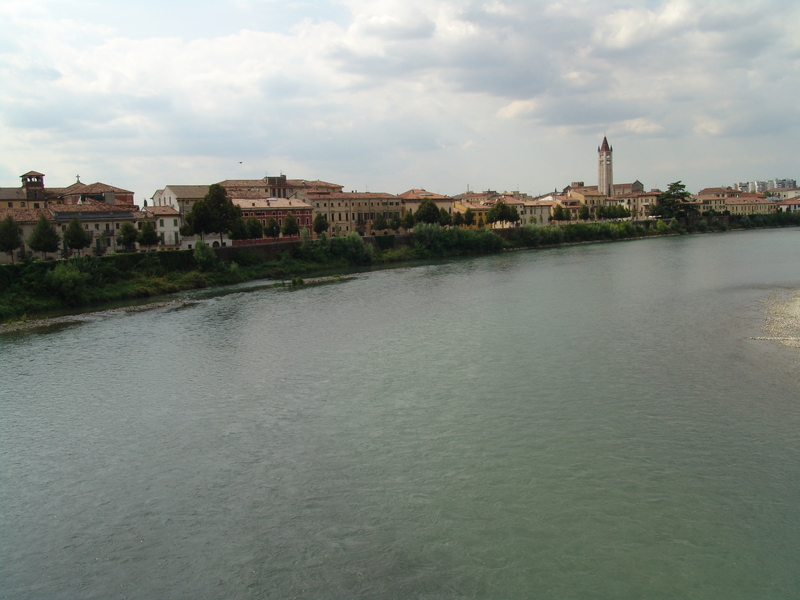 Ponte Pietra– This area of Verona made me feel like Amanda Seyfried in Letters To Juliet, looking at bridge, the water and the buildings atop the hill was like nothing that I’ve seen before. It was like that opening scene in a romantic movie, and you lust over the sight thinking you will never see anything like it in person. 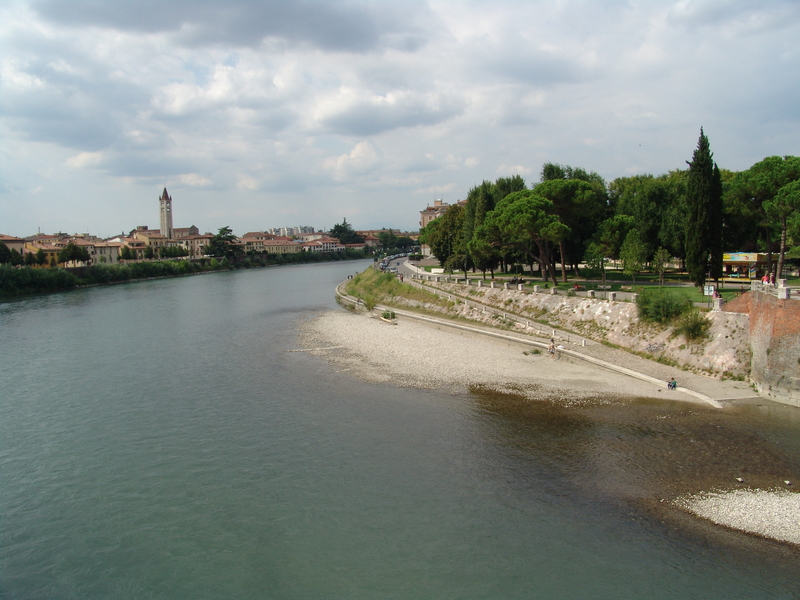 My favorite spot In Verona. Teatro Romano– Once you cross the Ponte Pietra to the right is the Teatro Romano. 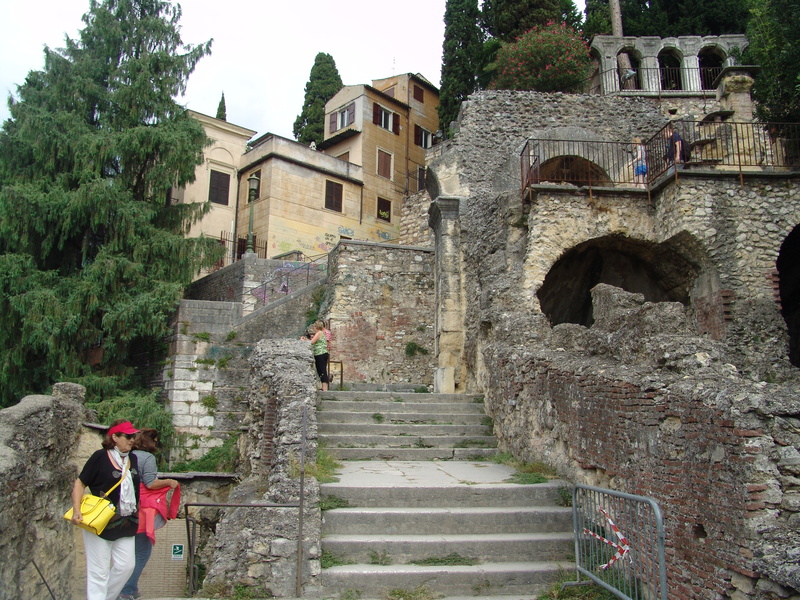 Make your way over and right beside the Teatro is an old gray stairway. 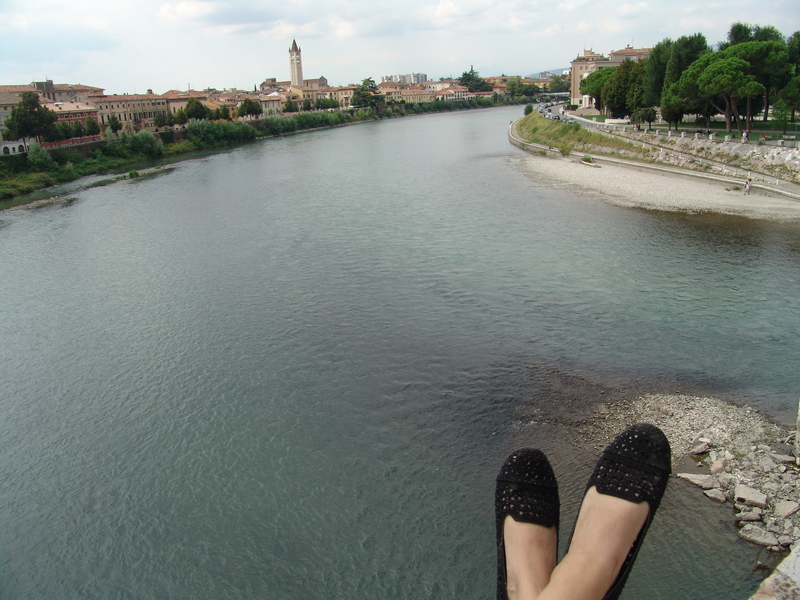 Make your way all the way to the top and look into Verona from across the Fiume Adige. It is the perfect picture spot. Castelvecchio- If I would have missed the opportunity to see Castelvecchio I would have been mad at myself forever. 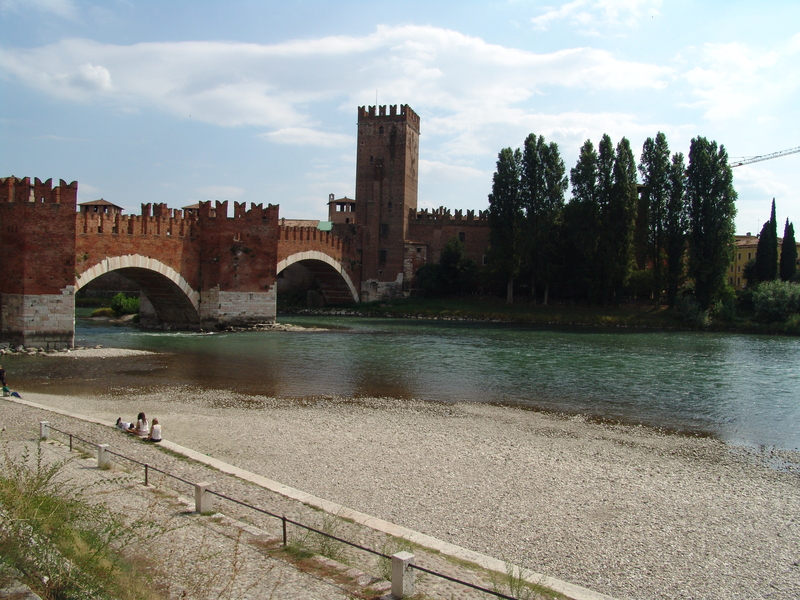 This is beautiful castle by the Fiume Adige. I can’t even describe the beauty of it. Any spot you stand in is worth your wild. I suggest going though the castle and go across Ponte Scaligero for the view of a lifetime. 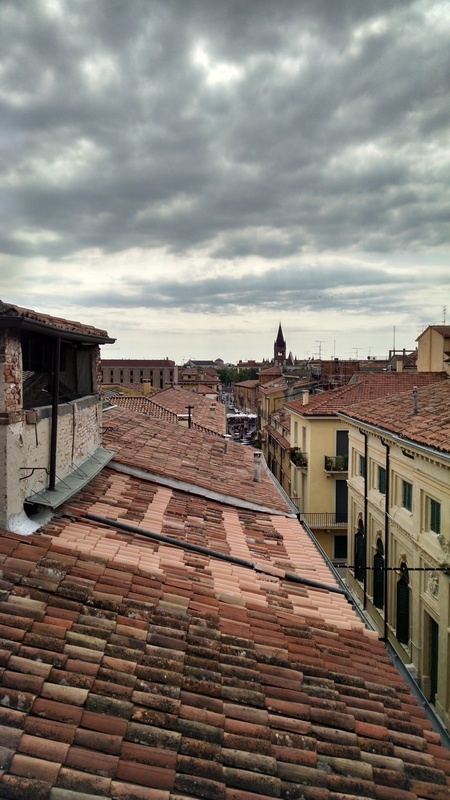 Casa Giuletta- You can’t go to Verona and not go to Casa Giuletta. It would be like a crime. Yes, its crowded but that’s mostly outside the house. Here you can take beautiful pictures in front of the writings of millions of couples who visit the house. Inside the house you can get a photo on Juliet’s balcony and get an in depth look into her home. The bed, the clothing and even the dishes are all there. And make sure to go all the way to the top for the most beautiful view you will ever see through a window. And don’t forget to write something nice inside the book! Tip: They also offer the chance to visit Juliet’s grave. Personally I was expecting more so I would recommend only doing this if you have time time. Piazza Dei Signori- My favorite thing to do here is literally just stand there and look all around me. It’s not only what you see but the vibe you get. Just standing there you know your in some place magical and full of history. Piazza Bra’– This is the main piazza and probably the first place you will go to. here you will find the famous arena, lost of places to eat and overall a nice setting. Although most people are eating here, i would recommend eating elsewhere. As I’ve mentioned in my previous articles it is better to eat in the smaller places than the larger ones, because they are more authentic and hit closer to the local feel versus the touristic feel. Overall you can see all of Verona in an entire day. 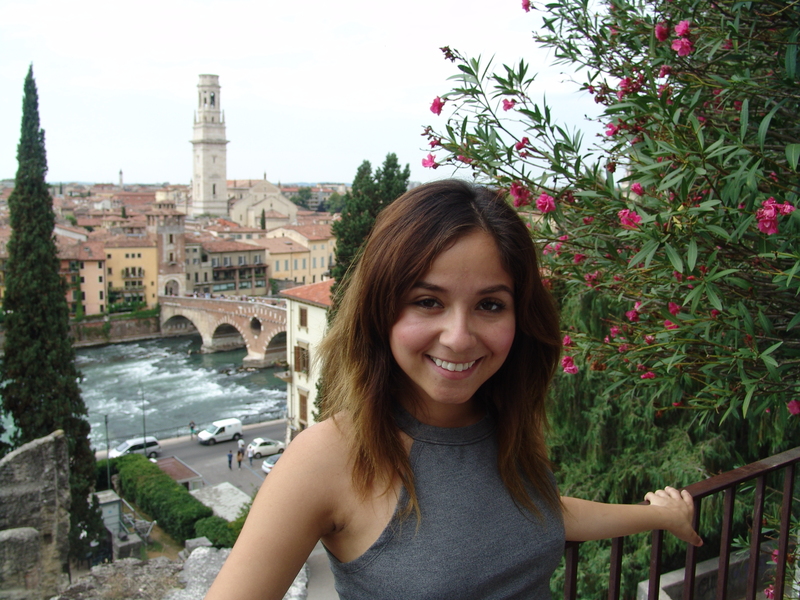 And when traveling to Italy I would say not to miss the opportunity to go to Verona in person and fall in love. Previous Post Grab A Map and Walk All of Venice, Italy.